While we are still waiting for an effective solution to Baltimore’s rising crime rate, one plan seems to focus on keeping gun offenders in custody. This applies to those awaiting trial and those who have already been convicted. 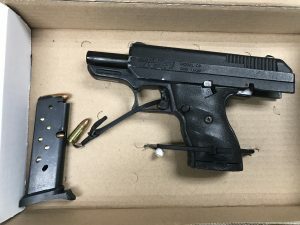 If you are arrested for a gun offense, even misdemeanor gun possession, in Baltimore the chances are that the State will ask for you to be held without bail. Many of the district court judges will go along with this request, and for justification will say that guns are dangerous and those who possess guns are a threat to the community. In some instances a no bail hold may be justified, but in most it is not. In cases involving a felon in possession of a firearm the federal government will offer to take over the prosecution to assure the defendant serves the most amount of time. Increased federal and state involvement in Baltimore City crime prevention will continue until there is a significant downturn in violence, and the Blog will continue to update as new strategies are implemented. 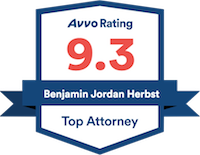 For questions, or if you have a pending criminal charge anywhere in Maryland contact defense attorney Benjamin Herbst for a free consultation. Benjamin specializes in state and federal gun charges such as felon in possession of a firearm and possession by a disqualified person under the public safety code. Felon Pleads Guilty to Federal Charges of Unlicensed Dealing in Firearms and Illegal Possession of Firearms and Ammunition, justice.gov.